Jimmy is the owner and operator of JT’s Landscaping and Lawn Care. 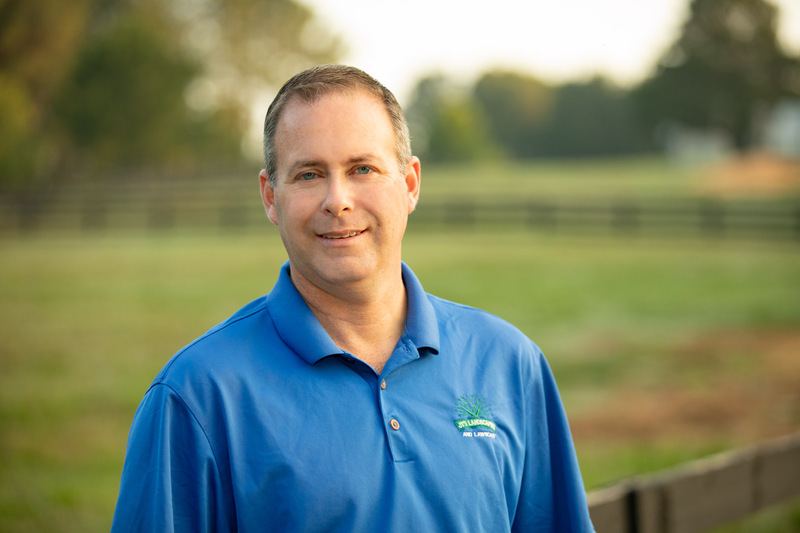 His love for working outdoors and enhancing landscapes naturally drew him to the landscape industry. He founded this company from modest beginnings and it has turned out to be his life’s passion. 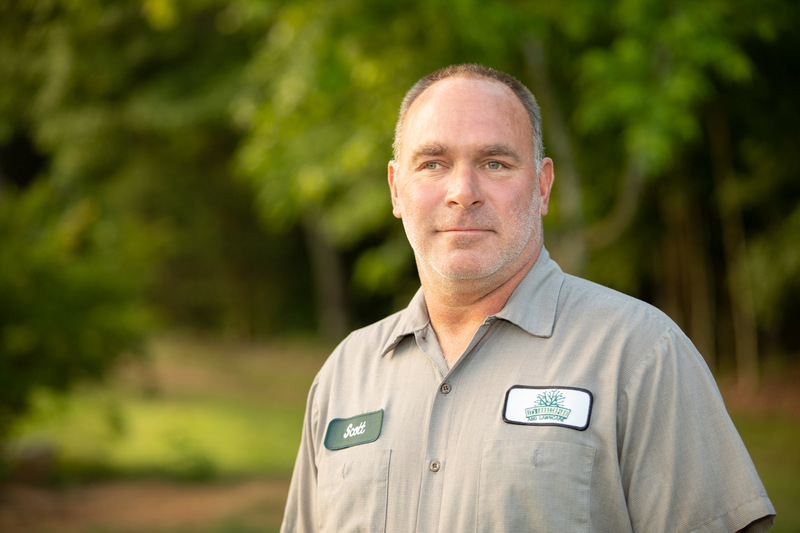 Jimmy has been working in the landscape industry for over 19 years. 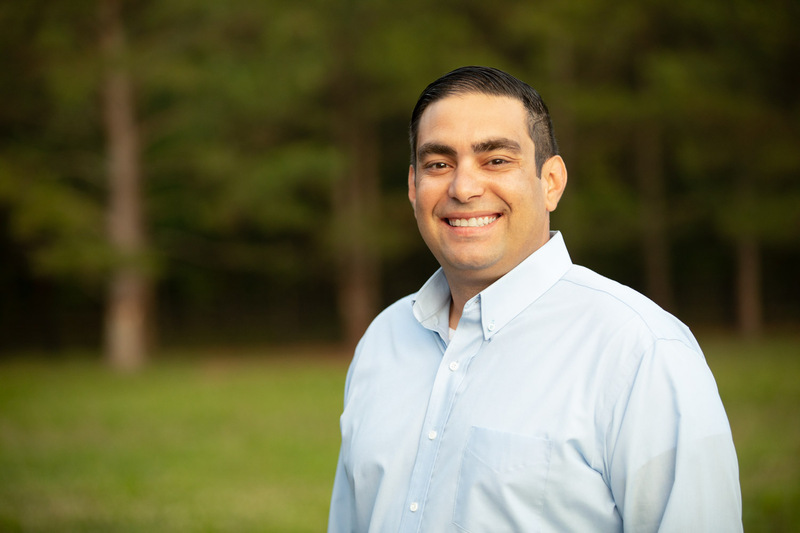 He has worked diligently to grow his company into a success by maintaining a small business feel while continuously staying competitive with the corporate industry. 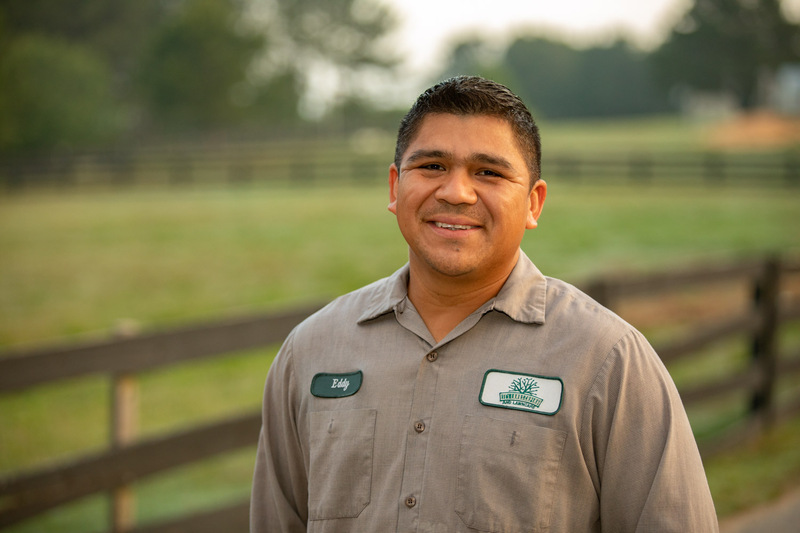 Jimmy attended North Carolina State University studying Landscape Design, Turfgrass Management, and Horticulture. 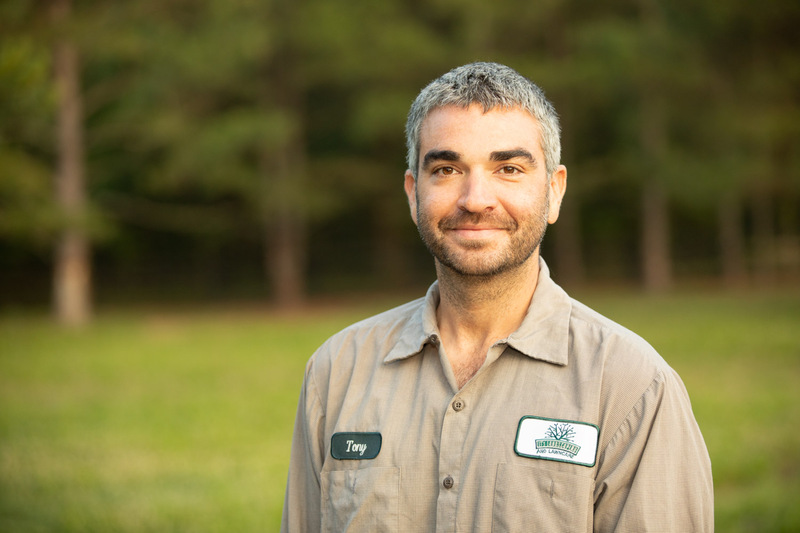 Jimmy’s creativity and enthusiasm has lead to designing and installing some the most noticeable landscapes in North Carolina. 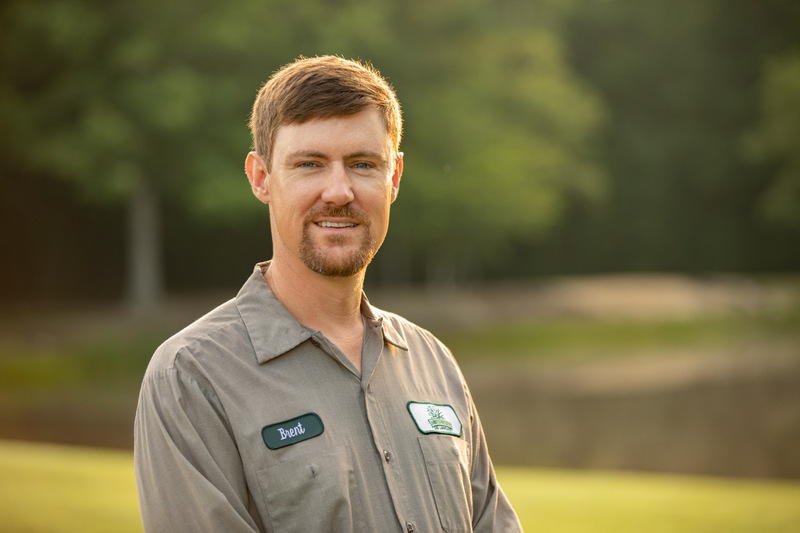 His daily responsibilities are to oversee all landscape maintenance operations as well as directly coordinate and oversee all landscape design and installation projects. With a close attention to detail of all work performed by his employees, Jimmy ensures the highest quality with 100% customer satisfaction. When he is not at the office, Jimmy find himself spending time with his wife and 4 children. Jimmy is also very active within the local sport scene as an avid Wolfpack, Carolina Panthers and Carolina Hurricanes fan you can be sure to see him there rooting for his teams! Jimmy also enjoys working with local kids by coaching several youth teams in Hockey and Basketball. 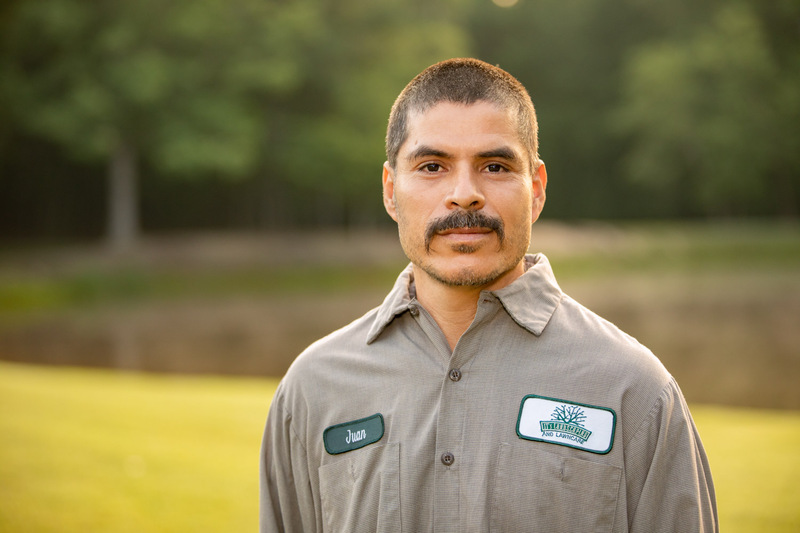 Edgar Valdes is the Maintenance Operations Coordinator here at JT’s Landscaping. Being born in Caracas, Venezuela and raised in Miami, FL., he comes from very diverse background. Edgar is fluently bilingual in English and Spanish. After graduating from Clayton High School in 2003 he relocated to Nashville, TN to peruse a career in Audio Visual Engineering. After securing a degree in the field he was selected for a competitive internship position at one of the most prestigious recording studios on Music Row. 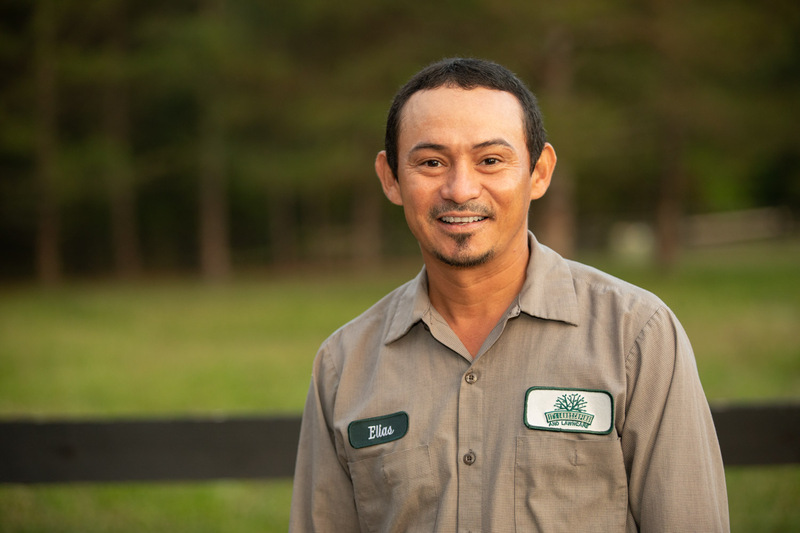 After years in the field he decided to make a change and relocate to North Carolina where he worked in customer service and construction management. Currently Edgar resides in Clayton, NC with his beautiful fiancée Ashley and their two dogs Vito and Porthos. 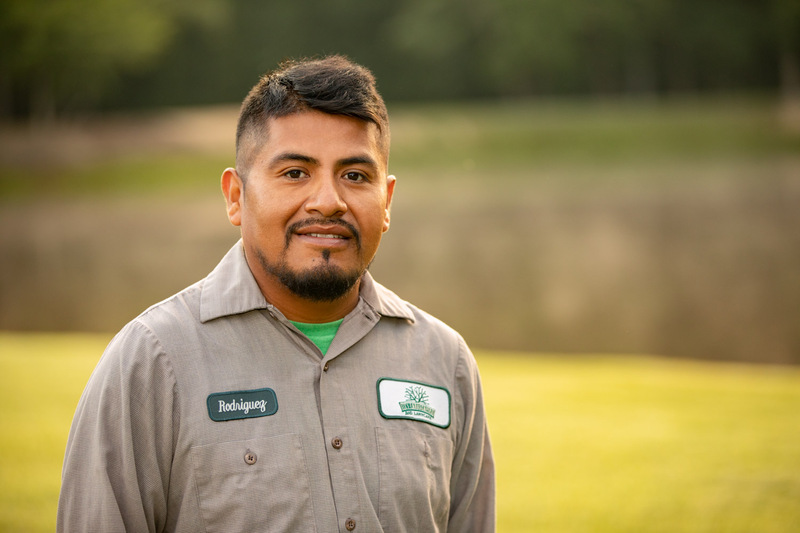 Using his extensive knowledge and experience in management and employee relations he coordinates the daily operations of the maintenance division. He is also involved with multiple aspects of the Human Resources department. 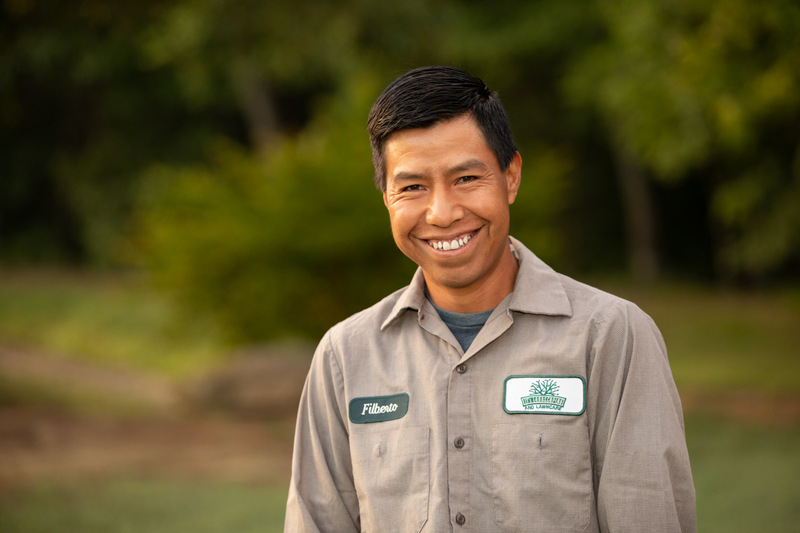 Evan started his career in the landscape industry at the age of 16 as a crewmember on a mowing crew. 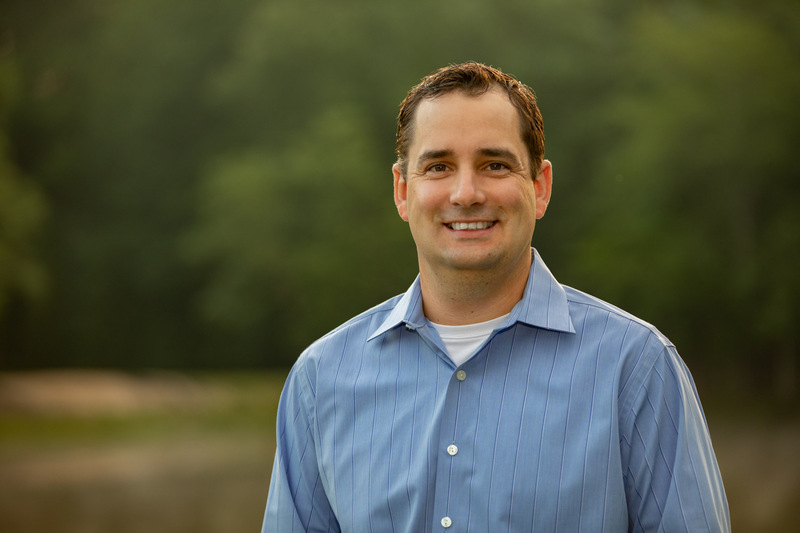 Over the next two decades plus he has spent time as a small landscape business owner himself in coastal Rhode Island, taking care of high-end residential clientele. 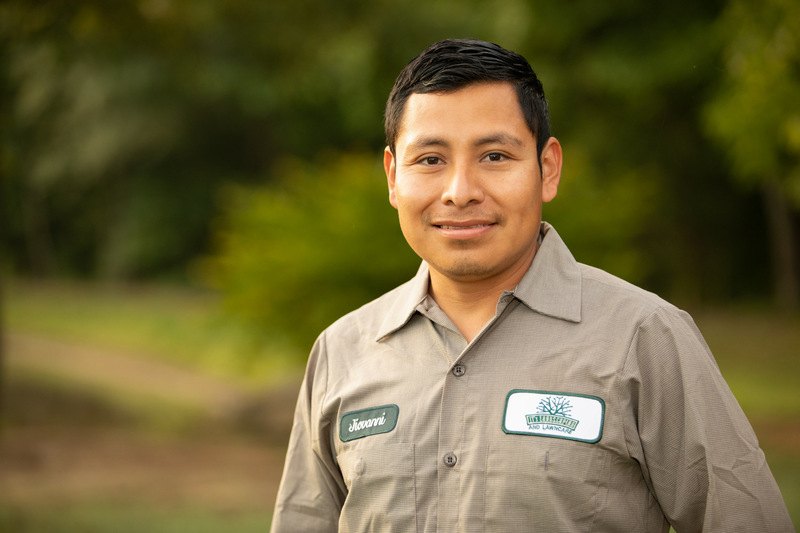 In 2003, Evan and his beautiful fiancée (now his beautiful wife) moved to California and became the branch manager of the San Francisco Peninsula branch of an award-winning commercial landscape company, servicing high-profile corporate campuses, private schools homeowner associations and municipalities. Into 2011, after eight years in California, Evan and his wife, Laura Jean, and their two children Maxwell and Olivia packed up and moved back across the country to North Carolina where they eventually found Wake Forest and knew they had found the right place. Outside of work, Evan loves to spend time with his family, go to his kids’ sports activities, and go to the range for target practice! Project Manager Chris Keel joined the JT’s Family in 2016 and has since worked his way up to Production Manager from a driver. This experience has given him a unique perspective on the day to day operations of our processes and how each crew works as a whole. 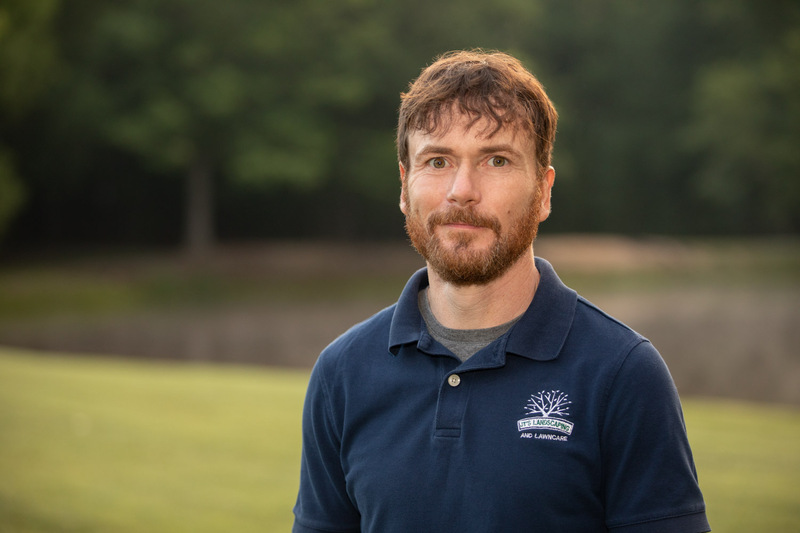 Chris continually strives to bring new knowledge to his projects, deliver exceptional customer service, and make the entire landscaping process as smooth as possible for his clients. He takes pride in the fact that his job makes a positive difference in his client’s lives by making their vision a reality. 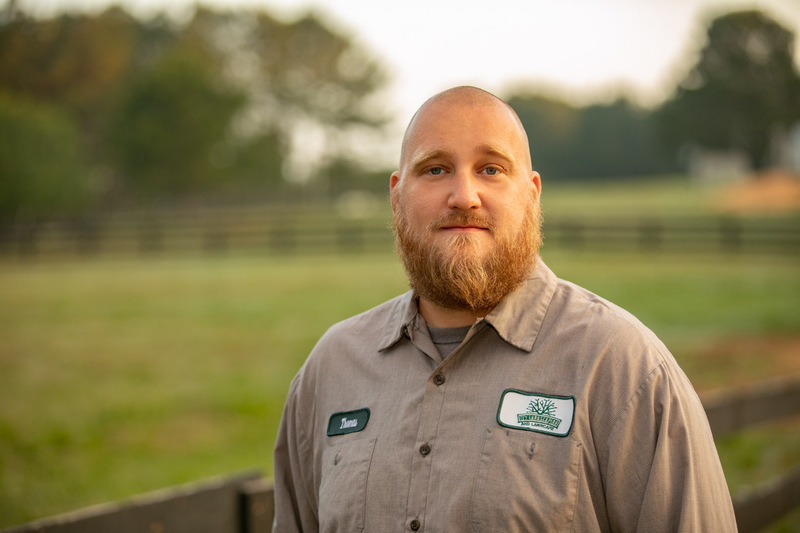 Chris has had years of leadership and training experience in management positions before joining JT’s and he has been able to bring that leadership experience into the company and uses it to motive our crews to the standard that we are known for. In his free time, Chris enjoys reading, practicing martial arts and most of all he also loves spending times with his amazing girlfriend Jackie, his two daughters, Jackie’s son and a whole herd of pets. 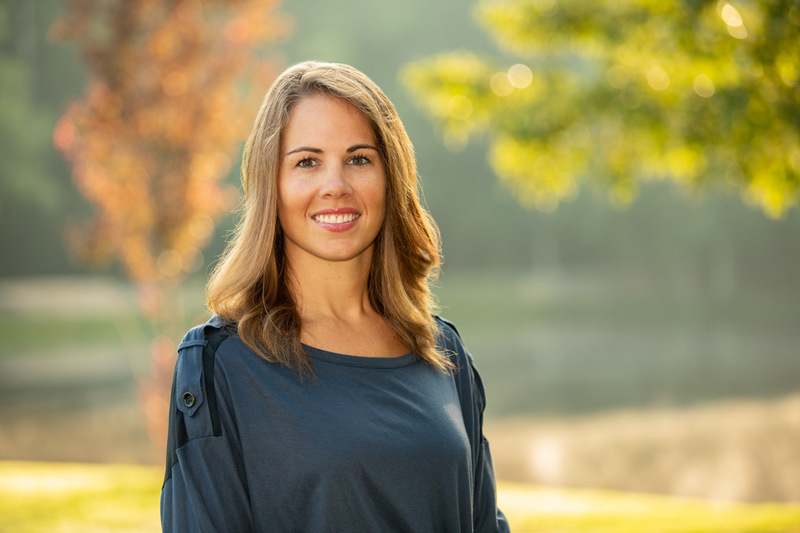 Kristin has been with the company since its early years and over the years her role has changed but has been involved in every aspect of management within JT’s Landscaping from ordering, scheduling, permitting, accounting tasks, payroll, human resources and beyond. Today Kristin’s primary focus is on the daily accounting operations, she works very closely with our outside accountant on all accounting tasks. She is also responsible for overseeing AR and AP. She has been an unbelievable and supportive wife to Jimmy in helping his dream become a reality and building a strong and successful company. Outside of work Kristin stays very busy with their 4 children who are very active and involved in many sports and activities. 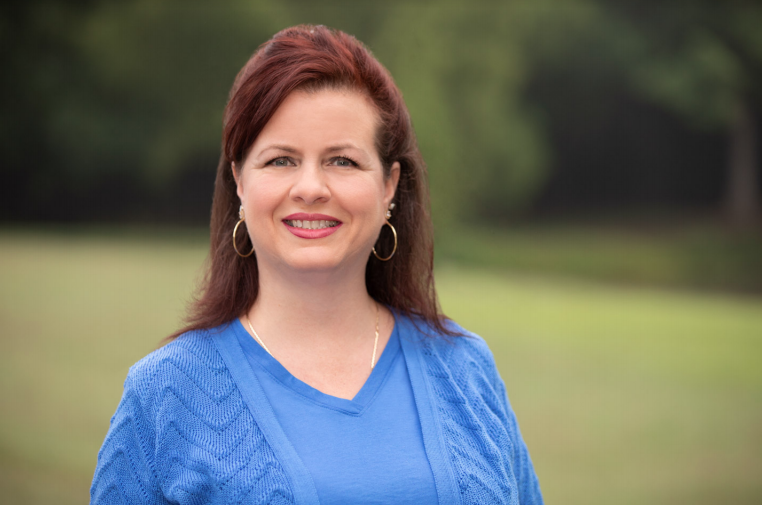 When Kristin is not working and driving kids around wake county she loves to spend her free time exercising, attending concerts and boating at the Lake or the Beach.